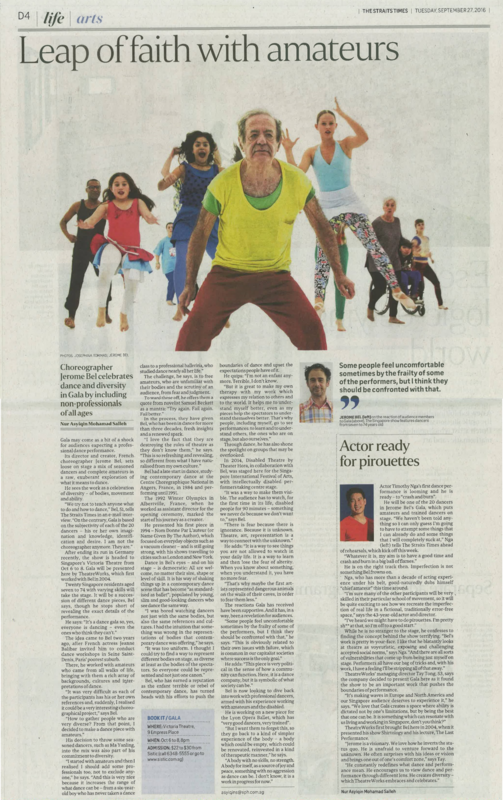 GALA was featured in The Straits Times, Life section today. Journalist Nur Asyiqin interviewed Jérôme Bel to find out his inspiration behind GALA. She also speaks to actor Timothy Nga, one of the cast in the piece, on his first ever dance performance! Tickets are still available on all SISTIC Channels! Get yours tickets today! Previous Previous post: GALA was featured on Popspoken!